This has been confirmed as a first for Hunts. 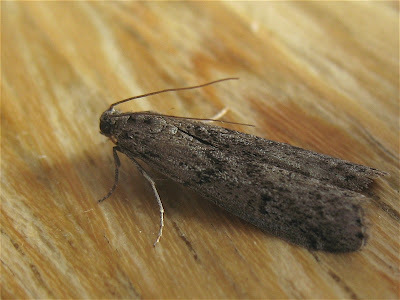 It was in the kitchen this morning and presumably emerged from some imported produce. 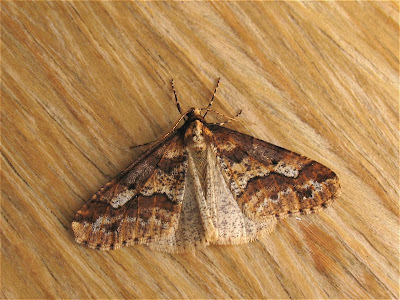 Two significant moths in as many days and it's only early January! The first moth of the year and it's a lifer! It was attracted to our kitchen window last night and is a male as the females are wingless. A great start to the mothing year. Let's hope it's a sign of a good year ahead.